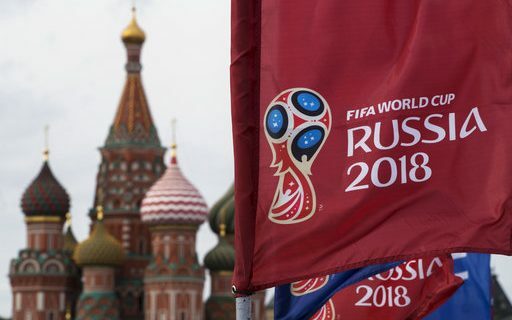 The World Cup starts Thursday in Russia. This year the United States isn’t the only team not able to make the cut. Italy, Netherlands and Chile are teams like the USA that will be sitting this World Cup out. Here are the 12 teams with at least a chance to win as I see it. Still can’t believe this team lost 7-1 to Germany in the last World Cup on their home turf. They need to make amends this year. Neymar looks great and is their best player. Brazil can attack as well as any team in the tourney. Question is do they leave themselves vulnerable to a counter attack in the process. Team has improved since Tite took over as coach. This team isn’t battle tested going in. Dani Avlves and Marcelo are very nice complements to Neymar. Still hard to believe for me as a fan of the Premier league that the team left Leroy Sane off of the team. He was the young player of the year in the Premier League. Goes to show you how deep this team is. In qualifying stage they scored 43 goals and let in only four. This team is in the front of analytics in soccer. Question is that other teams have seem too caught up in the last four years. No team has gone back to back since Brazil in ’58-’62. Les Bleus have the talent and depth to win it all. The only question is the talent is very young. This team gets my vote for the deepest team in the tournament. With a young team leadership in time of crisis is a question. Who will step up? One of their stars recently said he prefers basketball to soccer. This team has the talent to win but do they have the character? This team has exited early the last two tournaments. I think they get back to their winning ways in this one. Many see them as a favorite to take the title. The biggest strength back from their glory years of ’08-’12 was a possession based style that allowed them to dominate. 34 year old Andres Iniesta is good at controlling the play as a midfielder. Star studded team led by the great Lionel Messi. This offense is so potent. They are so much more than Messi. Angel Dimaria, Sergio Aguero and Gonzalo Higuain all are first class players. This team has experimented with so many different styles and formations. It’s rare for a team this good to be coming into the World Cup with questions about what type of style and formation will they play. This is the golden age of Belgium football. This maybe the best Red Devil team ever. Premier fans know how good Kevin De Bruyne was this year for Manchester City. They don’t have the history of some of the blue bloods in front of them. When it comes to it, do they believe they can win? Romelu Lukaku is one of the premier strikers, he had 11 goals in qualifying stage. Talent to win but do they believe it in their hearts? Love this team it’s built for speed. I thought Wayne Rooney held this team back in previous cups. The biggest weakness might be their history. Rooting for England is like rooting for the Red Sox or Cubs before they won their World Series. Their only cup came in 1966. Tottenham star Harry Kane leads this talented team. They have the talent to win but I believe they would be happy just to make it to the round of eight. Cristiano Ronaldo leads this team that won Euro 2016. This team got on a roll in qualifying stage and won nine straight. In that stretch they scored 32 goals and let in only 2. The only weakness I can find with this team is age. Many of the key players are in their 30’s. Pepe leads the defense again at age 35. Do they have the stamina to get the job done is the question with this team? The team that hosted the first World Cup gets the easiest group in my eyes to advance to the round of 16. They are the clear favorite in a poor group. Luis Suarez usually puts his mark on a tournament. Whether that be for good or bad. Edinson Cavani is almost as talented as Suarez. Diego Godin is simply a rock in the back line for this team. The strength of this team is midfielders. This team can control the action when they are at their best as well as any team in the tourney. Experience up front is not a problem. So what are the problems? Its defense and lack of a strong head coach. Can’t see this team getting it done. They have the offense but in my eyes aren’t a complete team. Have great players but haven’t gotten the job done against elite competition. Little disturbing they lost to Argentina twice, Brazil, Uruguay and Chile. James Rodriguez is one of the favorites to win the award for most goals in the tournament. Can’t like a team that fades against the best. Always root for Poland when they are in because Germany tends to take their best players in many years. Germany hasn’t stopped raiding Poland since 1939. Lukas Podolski and Miroslav Klosse from the winner last time were both born in Poland. This year they boast the one of the world’s best in Robert Lewandowski. The Poles have more than just Lewandowski. Kamil Glik, Lukasz Piszczek and PiotrZielinski are all world class. The quarterfinals is a legit goal.